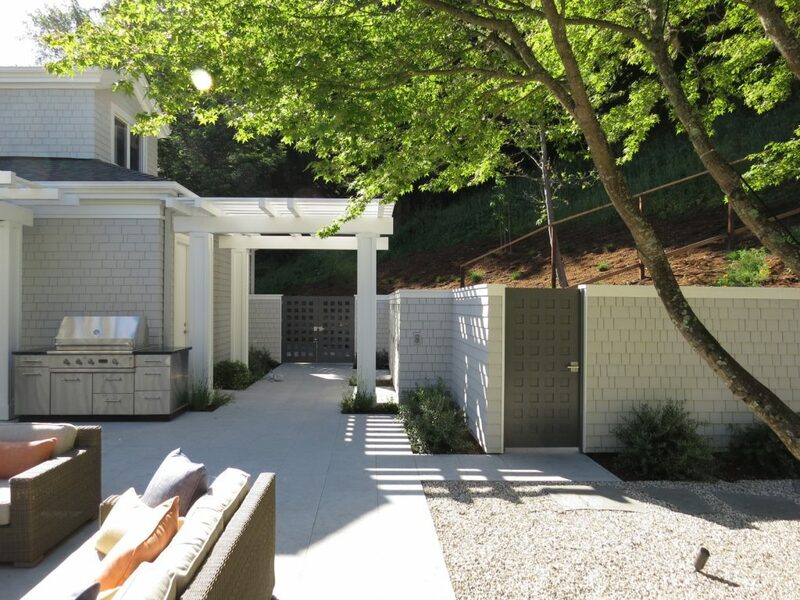 Russell Fong designed and constructed this outdoor pool patio area. The double gate opens up to the courtyard. 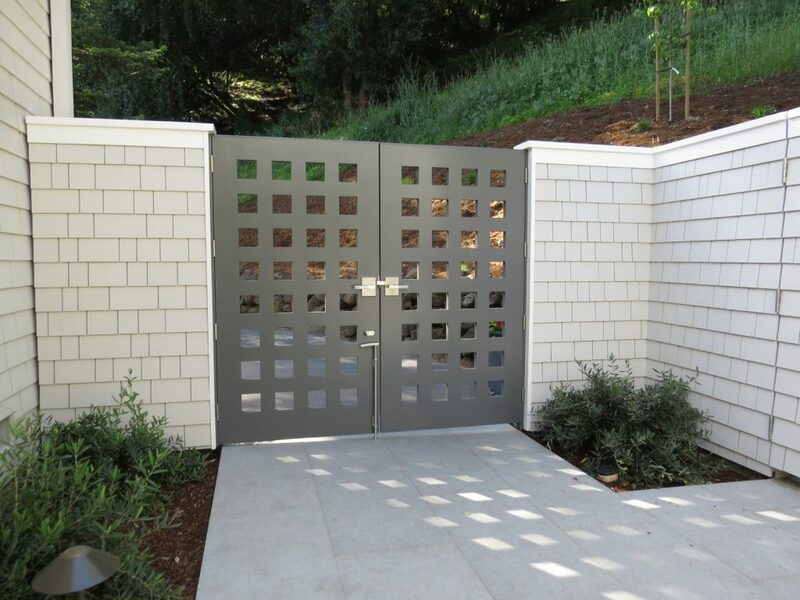 The double gate design riffs off the home’s entry door. Interior view of the double gate. The left side has an extra dummy handle that allows for pulling/pushing the inactive door, when needed. A brushed stainless contemporary cane bolt, 24” long. The length of the cane bolt doesn’t really matter, but it makes it easier to disengage if it’s longer since you don’t have to bend over as far. 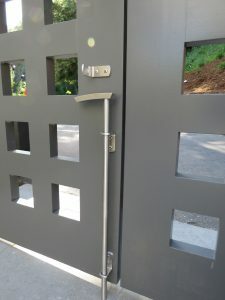 Because it is a double gate, the fixed gate requires a cane bolt. 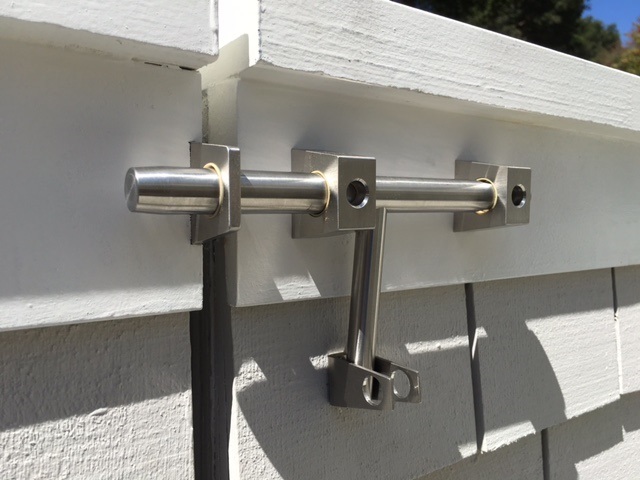 The cane bolt holds the fixed gate in place and provide stability for the latching gate to latch onto. 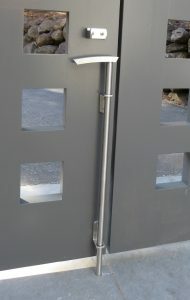 The bolt can be used also as a hold-open for when the gates are open. 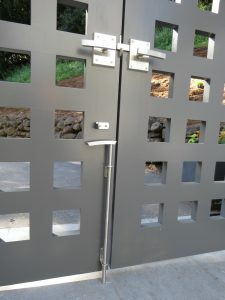 The client chose the 24” cane bolt so that they wouldn’t need to bend over too far to open it. The area also has a storage area locked by a modern stainless steel slide bolt. This stainless steel slide bolt is made here in our shop in Oregon. 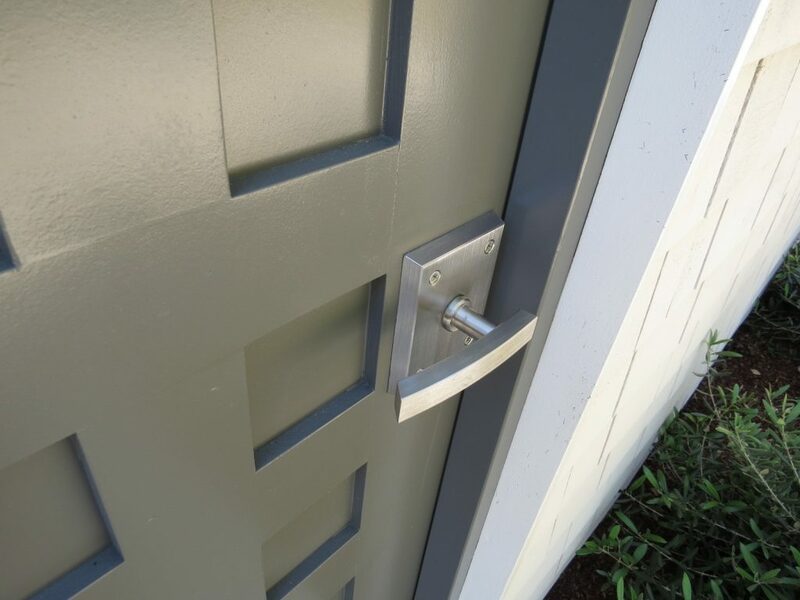 It has an optional locking area where you can use your own padlock. 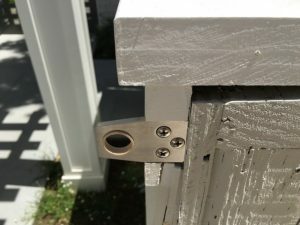 Slide bolt brackets have bushings for smooth operation. 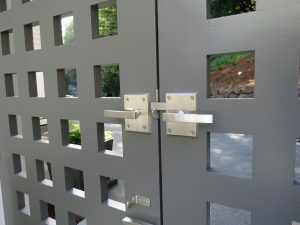 There is an open-air dressing area with the same door design and the Alta Latch. 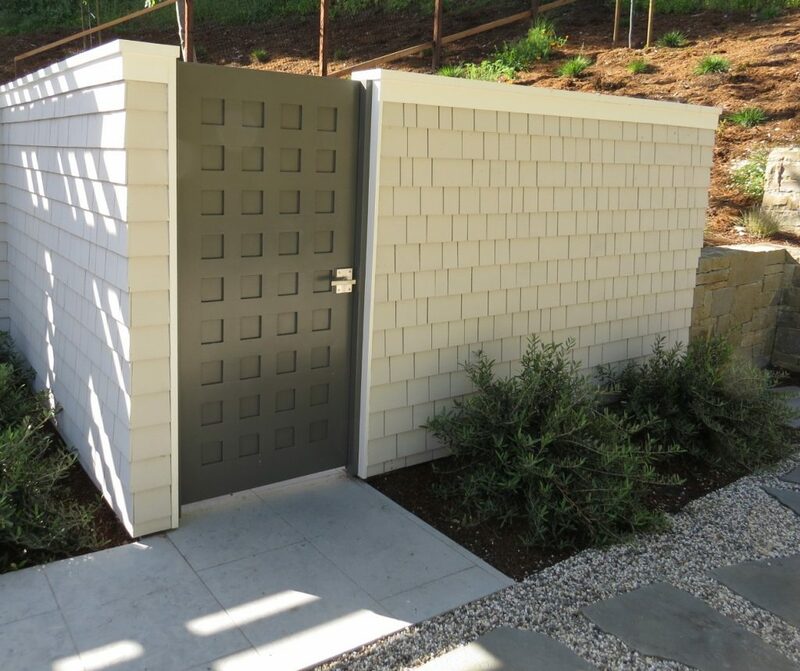 The pool dressing area has a door that mimics the gate (which also coordinates with the home’s entry door). 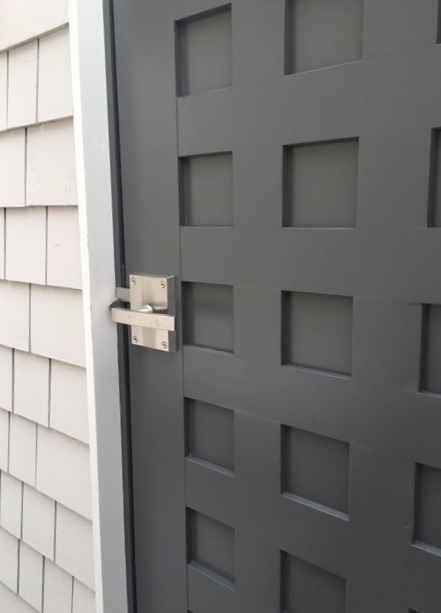 The client used the Alta Latch with this door, as well. This is the view from the interior. View from the pool toward the double gates with the dressing room on the right. 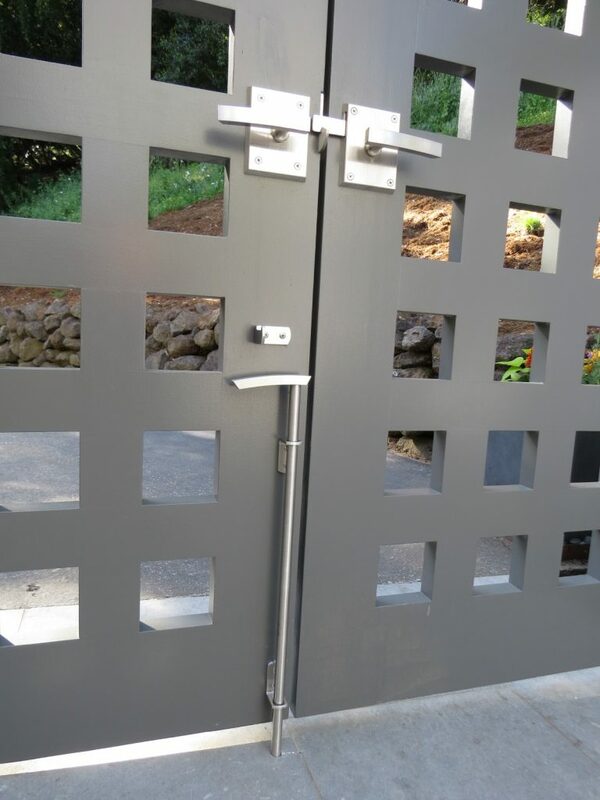 The clients used the Alta Latch on both the gates and the dressing room door. 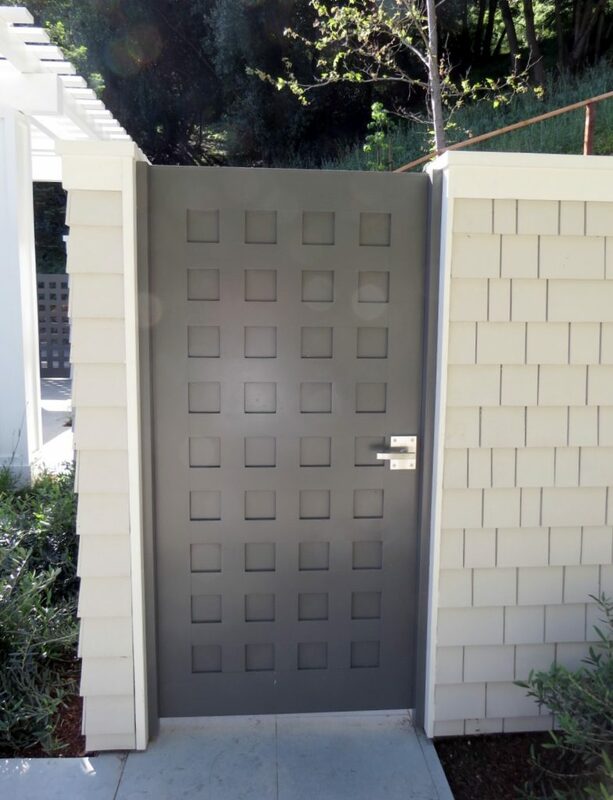 The style of the gate mimics the home’s front door. This is the view from the interior of the double gate. 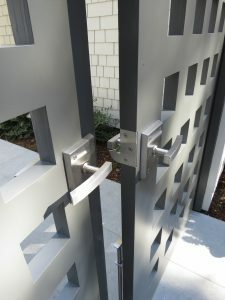 The active gate has the Alta Latch on it, while the inactive gate has the Dummy Handle on it. 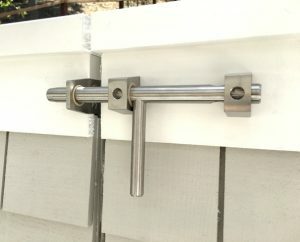 The 24” cane bolt holds the inactive gate into the patio. 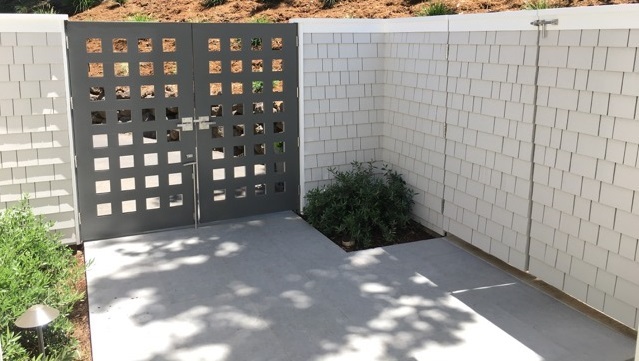 The pool dressing area has a door that mimics the gate (which also coordinates with the home’s entry door). 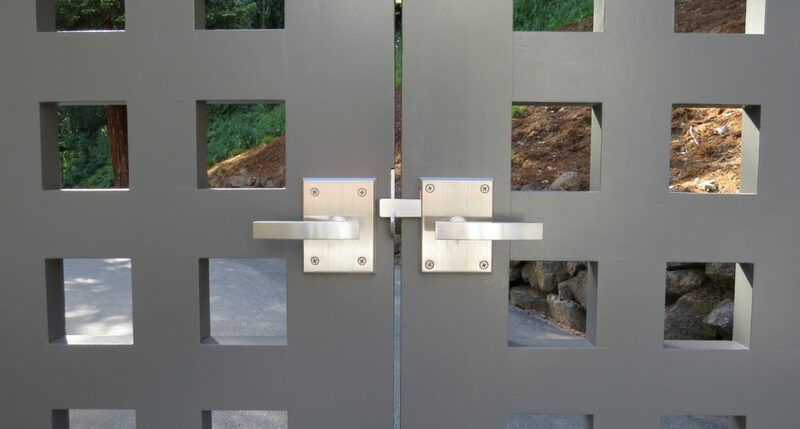 The client used the Alta Latch with this door, as well.